Installment loans are one of the most common forms of credit. Power Finance Texas offers installment loans from $100 to $1,250. Each installment loan must be repaid within a 6 month period of time. We calculate our fees using a daily interest model. Equal payment installments are made until the entire balance of the loan is paid back within 180 days. Every time a payment is made, a portion of that payment is going towards principal, with the balance of your loan paid in full at the end of the 6 month period. Of course, you can pay your loan off early at any time without any prepayment penalties of any kind. Apply online today for one of our consumer friendly installment loans! Potential borrowers will work with a customer service specialist or apply online to provide the necessary information. 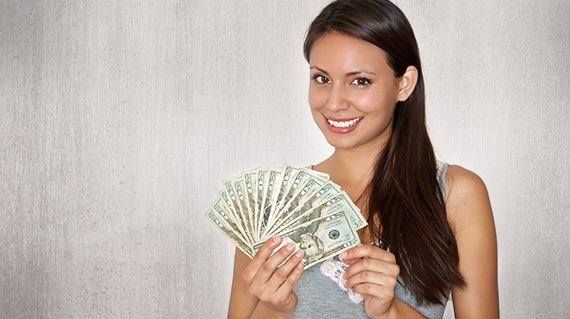 Installment loans require a customer to have the ability to repay the loan. We take great pride in being able to assist your needs. At the same time, we want to make sure you are never in a position where you cannot make your loan payments. The questions we ask on our online application or over the phone are designed to assist you as well as protect you. Apply online today or contact one of our customer service specialists! Installment loans and payday loans share some similarities, but it is important to understand the difference. While both loans get you cash quickly to solve inconvenient cash emergencies, the way you pay them back is different. Payday loans are single payment transactions. The amount you borrow is due in full on your next payday. On the other hand, installment loans are paid back through a series of payments over a previously agreed upon period of time. At Power Finance Texas, we offer installment loans that are paid back in full over a 6 month period of time. All of our installment loans can be paid off at any time, for any reason. There is never a prepayment penalty and because we calculate our fees based on a simple daily interest rate, you never pay fees for a day longer than you need to. Installment loans are more flexible, and thus more consumer friendly.